Jeffrey Moussaieff Masson's groundbreaking When Elephants Weep explored emotions in the animal kingdom, particularly from animals in the wild. Now, he reveals startling evidence that barnyard creatures have complex feelings too ... among them, love, loyalty, friendship, sadness, grief, and sorrow. Weaving history, literature, science, and his own vivid experiences observing pigs, cows, sheep, goats, and chickens, Masson bears witness to the emotions and intelligence of these remarkable animals, each unique with distinct qualities. 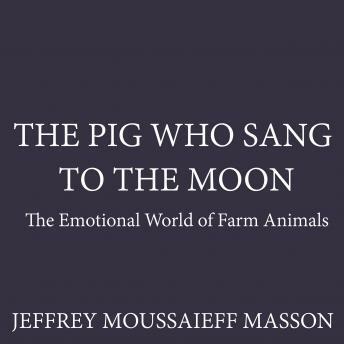 Shattering the abhorrent myth of the dumb animal without feelings, Jeffrey Masson has written a revolutionary book that is sure to stir human emotions far and wide.